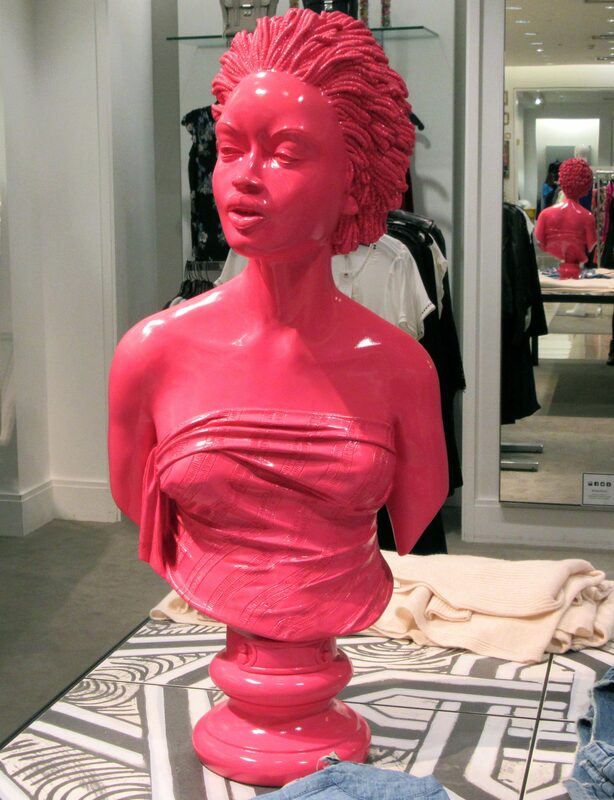 What’s most interesting about this Hot Pink bust of a lovely African American lady, is that it’s not in use as your standard display mannequin, despite the fact that it is clearly in the middle of a clothing section of a department store. In this instance, it is really more like a sculpture; more like a work of art meant to enhance the consumer’s shopping experience, I think. In my case, it was highly effective. Photographed at Saks Fifth Avenue, The Gardens on El Paseo, Palm Desert, California.